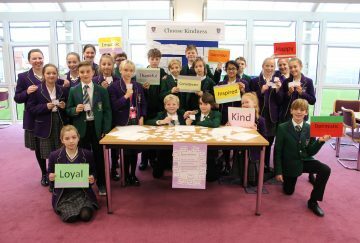 Students at all school sites held various themed events this week to raise awareness and support of Anti Bullying week. 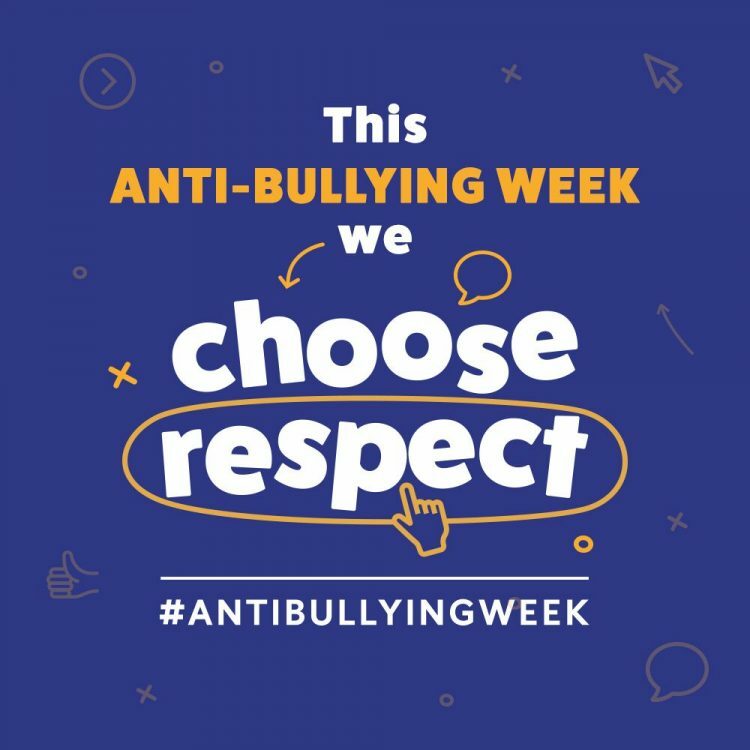 The theme this year is ‘Choose Respect’, which is set by the Anti-Bullying Alliance. On Tuesday, at Senior School, students gathered in the LRC to take part in a ‘Choose Kindness’ exercise. 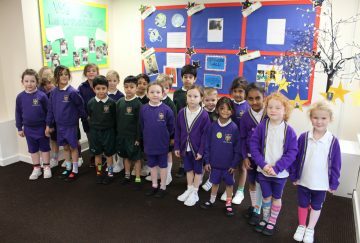 They chose different positive words that were written on speech bubbles to pass onto their class mates and friends. They were also able to write their own kind word and pass it on. Many students took part in this exercise and it was lovely to see everyone taking part in showing a simple act of kindness. 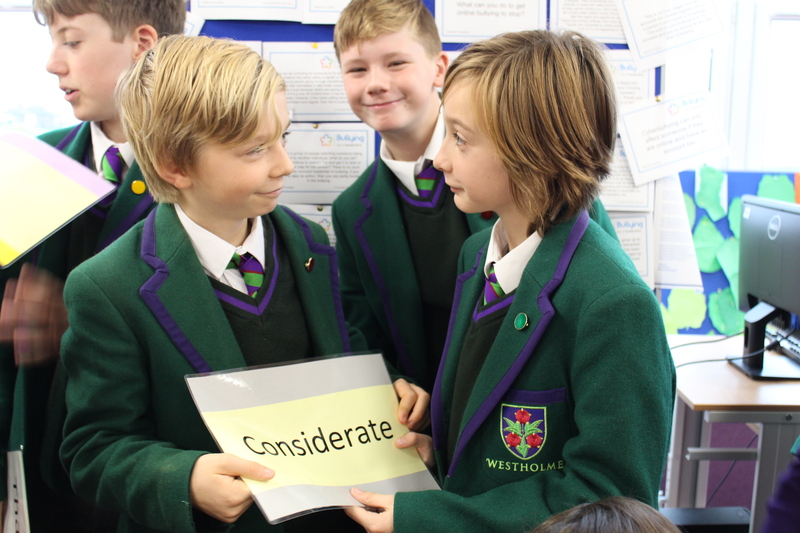 A special assembly on Anti Bullying was presented at Senior School on Wednesday morning and at lunchtime on, the LRC was a hive of activity for a special debate with our Debating Society entitled, ‘Is banter a form of bullying?’. 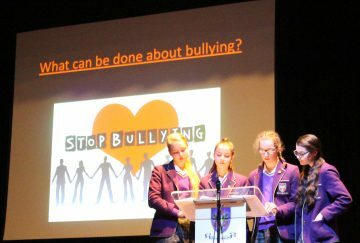 Chaired by Year 12 students Darcey O’Brien and Saoirse O’Neill, pupils from Years 7 to 10, argued vociferously about their thoughts on when banter becomes bullying. Zakariyya Khan, Lewis Warner Jones and Ahmad Saidan argued that banter was not necessary to build relationships. They felt that people should not mock each other and in some cultures banter is not used. They felt that banter should only be tolerated if people have ‘equal power’. Arguing against the motion was Ben Dang, (a future politician in the making! ), Madinah Ghafoor (from Year 10) and Labib Ebrahim. All three speakers argued well, suggesting that banter has a place in close relationships and ‘context is key’. They suggested that banter could become bullying if people were insentive to the needs of the recipient. It was wonderful to have such an involved audience; they always make excellent points and ask pertinent questions. 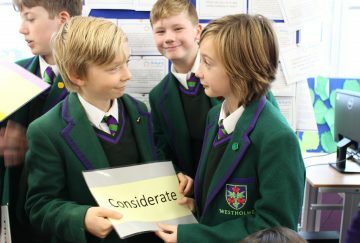 Billy Corrigan, Year 8, was particularly enthused and challenged both sides competently. However, in debating, there can only be one winner. Saoirse and Darcey announced that the opposition won the debate. Banter is not a form of bullying, but we have to ask ourselves whether the banter is mutual and ensure the recipient is not offended by the comments. 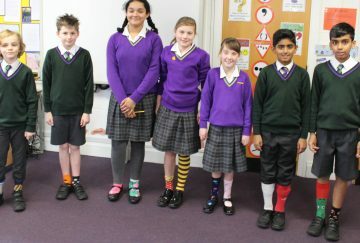 Students at our Nursery, Infant and Junior School also raised awareness of this important issue by taking part in an Odd Socks Day on Wednesday. 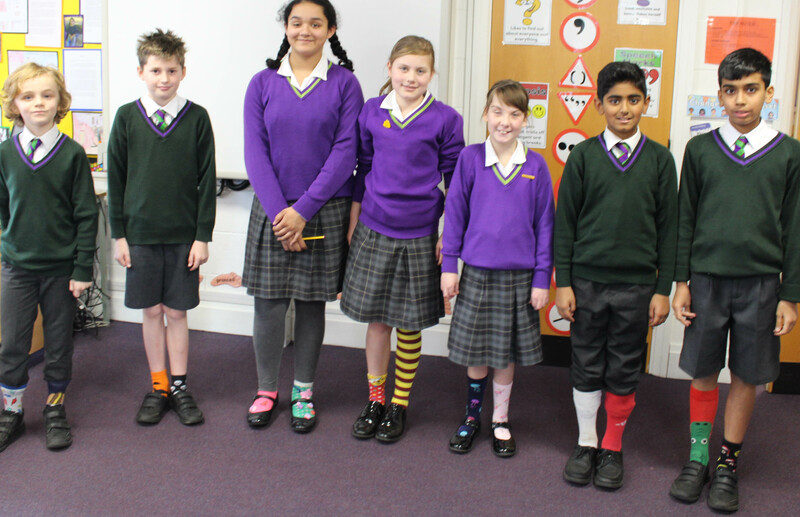 Odd Socks Day encourages people to think before they speak, particularly, how words and actions can affect people. It was designed to be a fun activity where children are able to express themselves and celebrate their individuality. Our Pre School children enjoyed taking part circle time learning about anti bullying week, completed good friends crafts and showed off their odd socks. 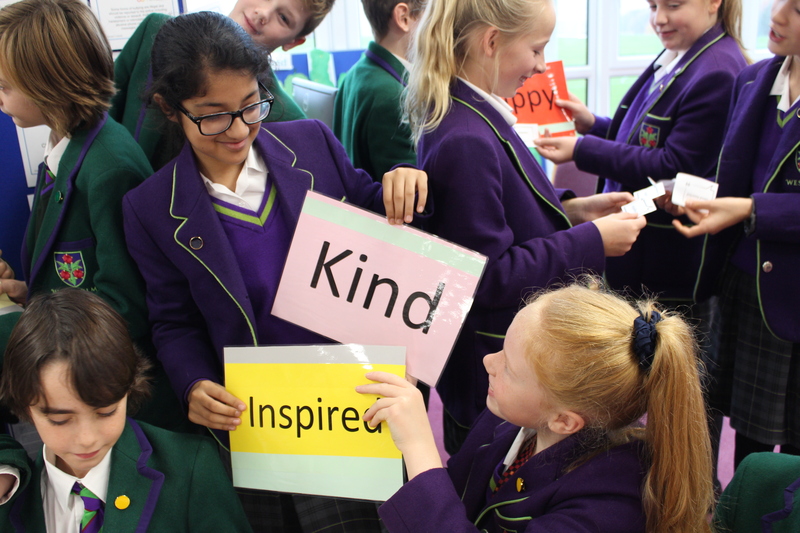 Everyone had great fun and realised the importance of thinking before they speak.